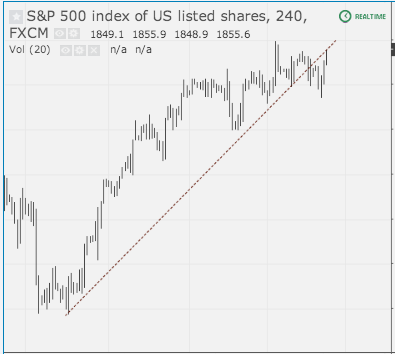 Right below key trendline (short term). Whenever markets are at a juncture like this i think what move would mess with the most amount of participants, what would be the unexpected ? 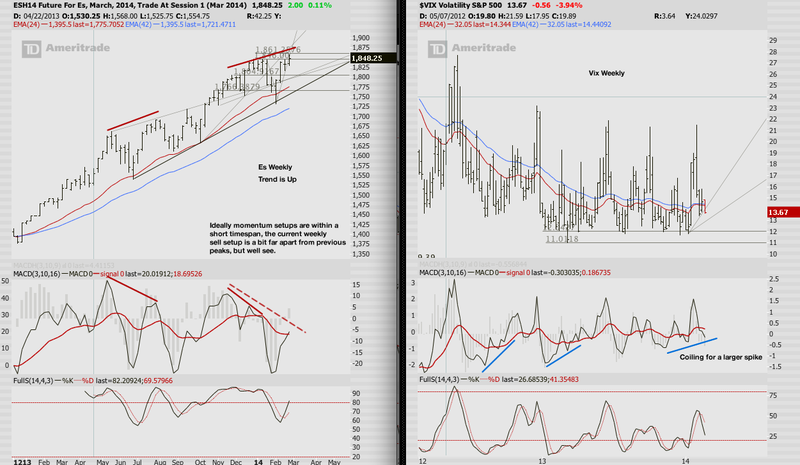 Ts and Vix wise there is no clear setup as of yet for volatility trade, momentum setups, usually, need to see immediate reaction – too much time kills the setup. Very short term, ideally we’d get a rally up to the broken support on Yellen, that should provide a better short entry. In hindsight, this will be about as clear a sell on the daily and weekly as one can get. Well see. As the trend is up, daily momentum is of suspect, but weekly is more telling. 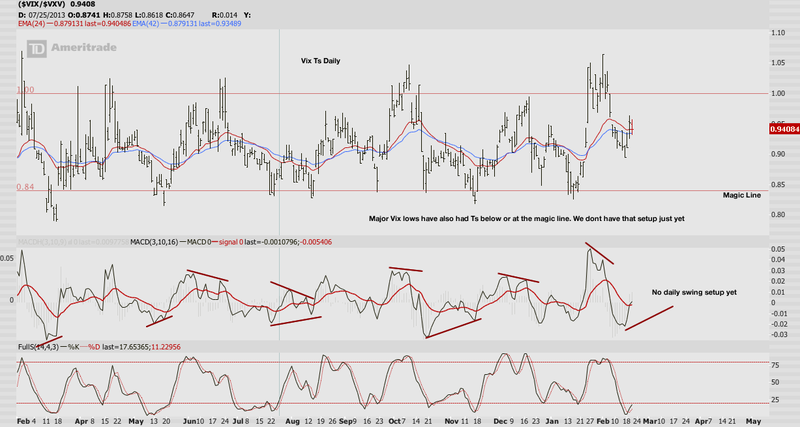 Its all about weither or not Es can sustain a breakout on this run or will it pull back for a breather. 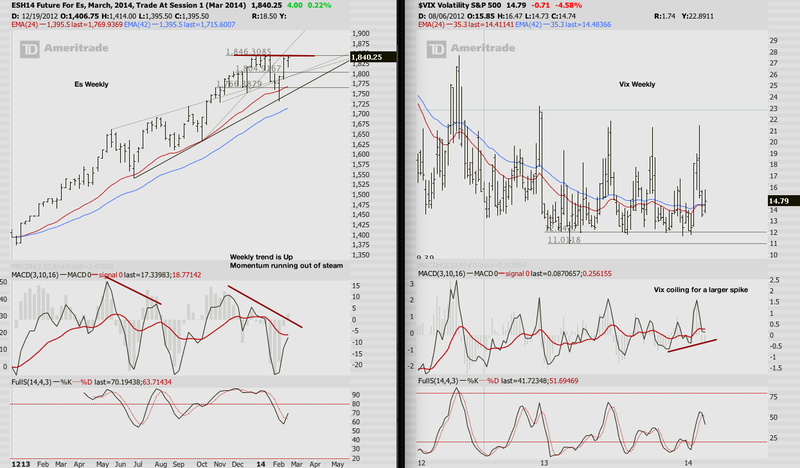 Vix Ts is now a bit more favorable, though still far from the magic line, but its getting there. 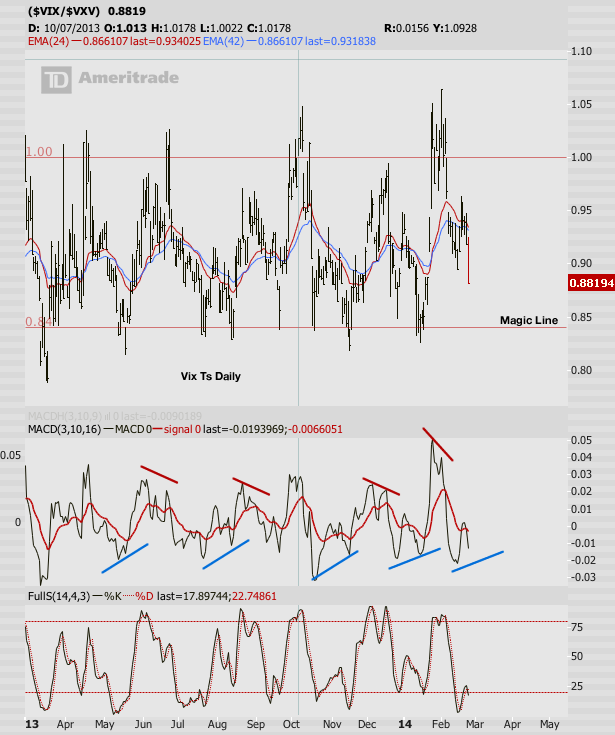 Daily charts are setting up for an ideal countertrend sell signal. We need a few more days to see if it comes to be. Vix Ts is still far from the normal low, where Vix has turned usually, not sure if it drops that far, Es has to make new ath or go sideways for a longer period to bring Ts down to magic line. Weekly momentum does not look good for Es. Vix is coiling for a larger spike, Vix weekly momentum sais it might not drop to the “usual” 12 level before bottoming, this time low 13’s may be as low as it goes. 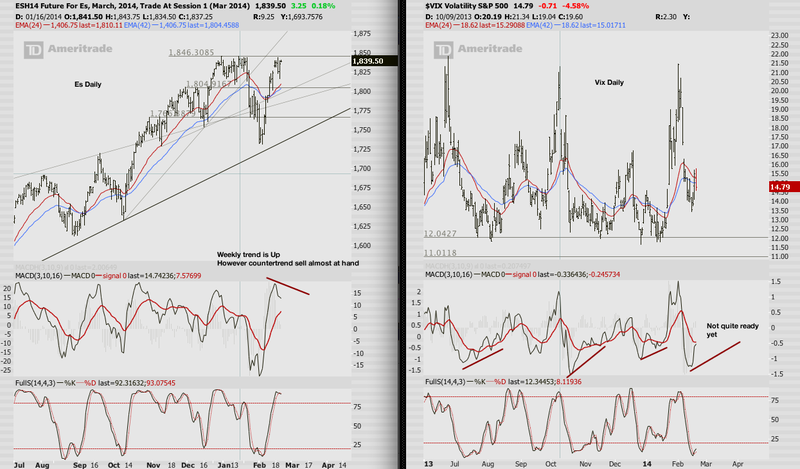 Anyway, weeklies show a larger pullback is Es and spike in Vix coming within a few weeks. At the very least we will get a choppy sideways range until weekly momentum has reset and is ready to take a stab at Es 2000. 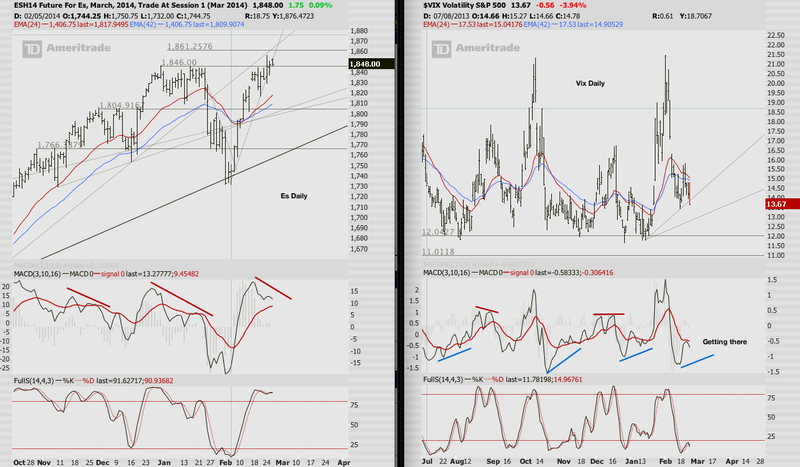 The weakness on momentum charts came about and i think we are in the next swing down, rallys are shorting opportunitues. 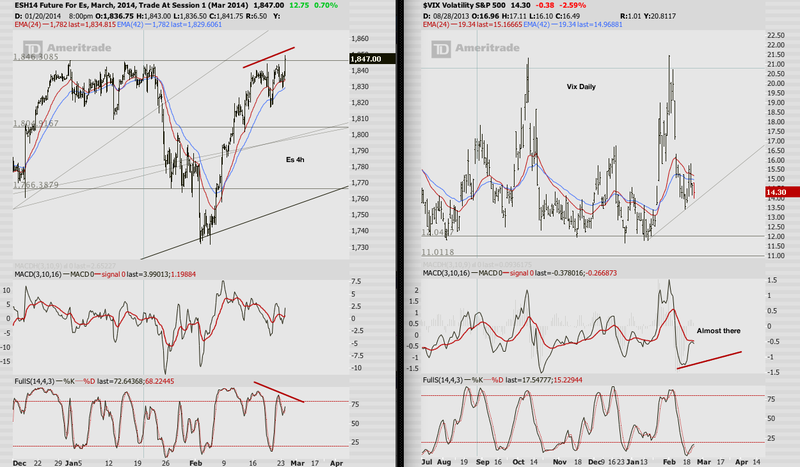 Momentum sais we go down today to for a short term low today, after which a rally can be shorted. 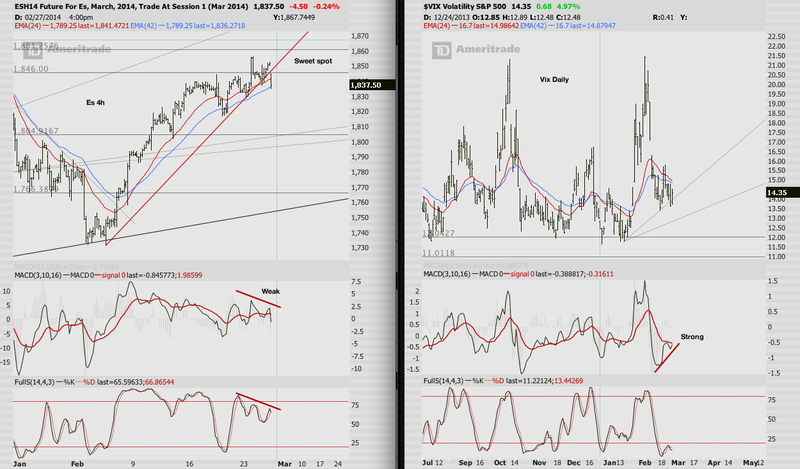 This would ideally bring Vix Ts to a lower level with a better momentum setup. Turn Dates indicate Friday/Monday as possible peak or lower high.